From the Reutter Porzellan World of Beatrix Potter Collection. 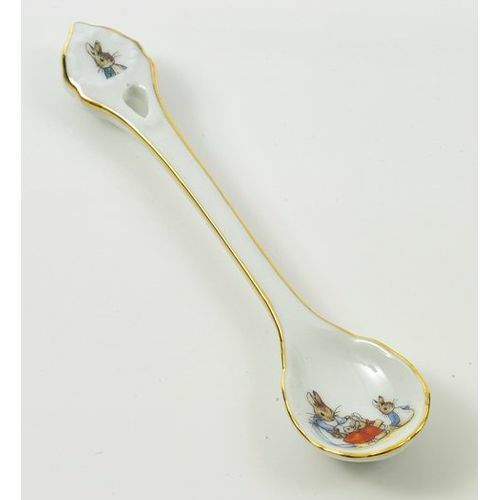 A delicate white porcelain spoon, innovatively shaped and decorated with detailed illustrations of Peter Rabbit and his family from Beatrix Potters classic book, The Tale of Peter Rabbit. From an exquisite collection of childrens tea sets and collectables featuring the works of Beatrix Potter.